Whether you are a first-time rider or you’re off to a National Final, our knowledgeable staff can help you find what you’re looking for. Our shop has been a staple in the horse community for decades and our owners and staff are riders, here for all riders of all levels. In addition to H/J casual and show apparel, we also carry items for dressage riders, trail riders, and fox hunting. Triple Crown boasts a full line of clothing, boots, helmets, tack, cleaning supplies, supplements, buckets, blankets, horse treats and gifts. We are also one of the only shops in the area carrying Emerald Valley feed. We take great pride in standing behind our products. 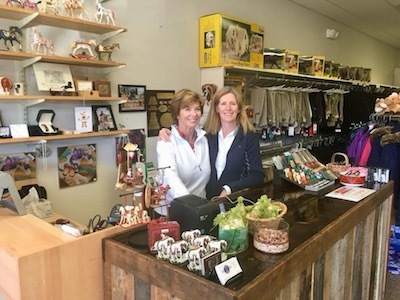 Carrying on the tradition of the small shop that Jane Goodband started 30 years ago, Diane Brazelton and Kelsa Zereski took ownership of Triple Crown in November 2017. Diane is a new rider, terrific golfer, and a life-long animal lover who owned a successful retail business in Worcester for more than two decades. Kelsa is an amatuer rider who has competed on the H/J circuit for 40 years and brings her marketing and fundraising background to the shop. Working with former owner, Anna Machonis, and bringing in the help of a talented tech entrepreneur, we will keep the small shop feel while bringing our business into the digital age. If you love horses, or know someone who does, take the time to come and visit. 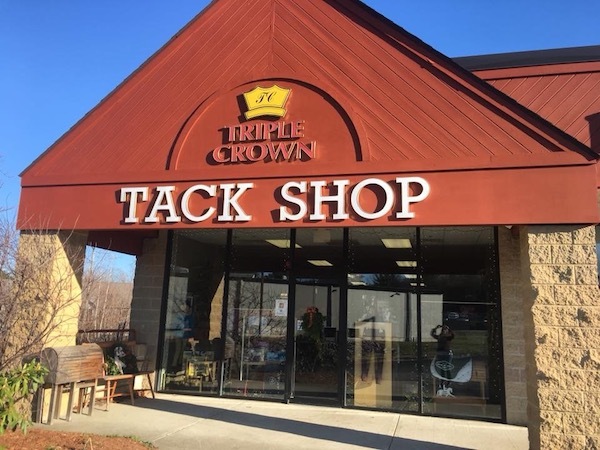 If it’s too far for you to drop in, we’ll be glad to help you by phone at: 508-835-2773 or shop any time on our website, triplecrowntack.com.